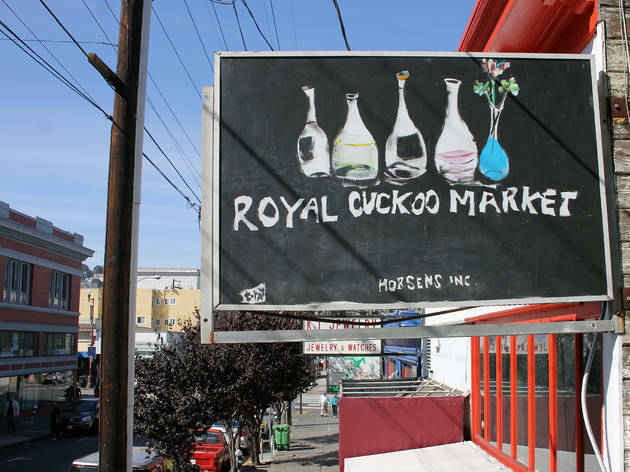 While other bottle shops may emphasize the local, Royal Cuckoo co-owners Paul and Dustin Miller make a point of seeking out rare imports from Belgium, Germany and Japan. (Look for the Suiyoubi No Neko or “Wednesday Cat” cans in the back.) Coolers spanning the back of the narrow shop are packed with eclectic cans and bottles by far-afield breweries, all sold singly or by the pack. 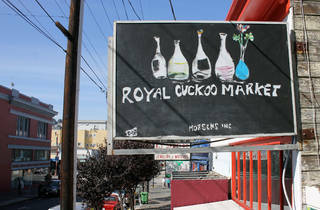 And though the pair also runs the Royal Cuckoo Organ Lounge, a cocktail bar in the deep Mission, in 2016 they quietly added a makeshift, eight-seat bar to the front of the market, Horsies Saloon, where eager beer buyers can crack open their bottles.